Thanks to the Christmas tree skirt, the decorated fir tree can be stylishly staged in your living room at Christmas time. The presents on Christmas Eve can be put on the rug and do not have to be placed directly on the floor. The hexagonal Jute tree skirt has a geometric star pattern by Nanna Ditzel, which she originally designed in the 1970s for Gardienen. In shiny silver or gold, the pattern has a Christmassy feel and adds a touch of elegance at the same time. The Jute tree skirt is framed by a cotton band, which serves to reinforce and protect the edges. The Christmas carpet is available in different versions with silver or gold print. 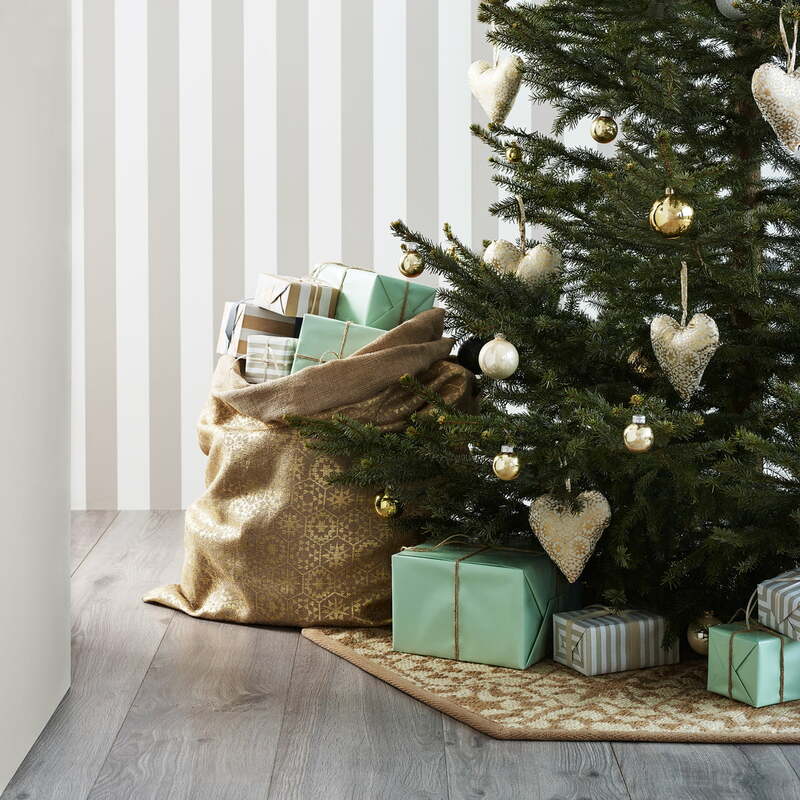 Thanks to the Christmas tree skirt, the decorated fir tree can be stylishly staged in your living room at Christmas time. 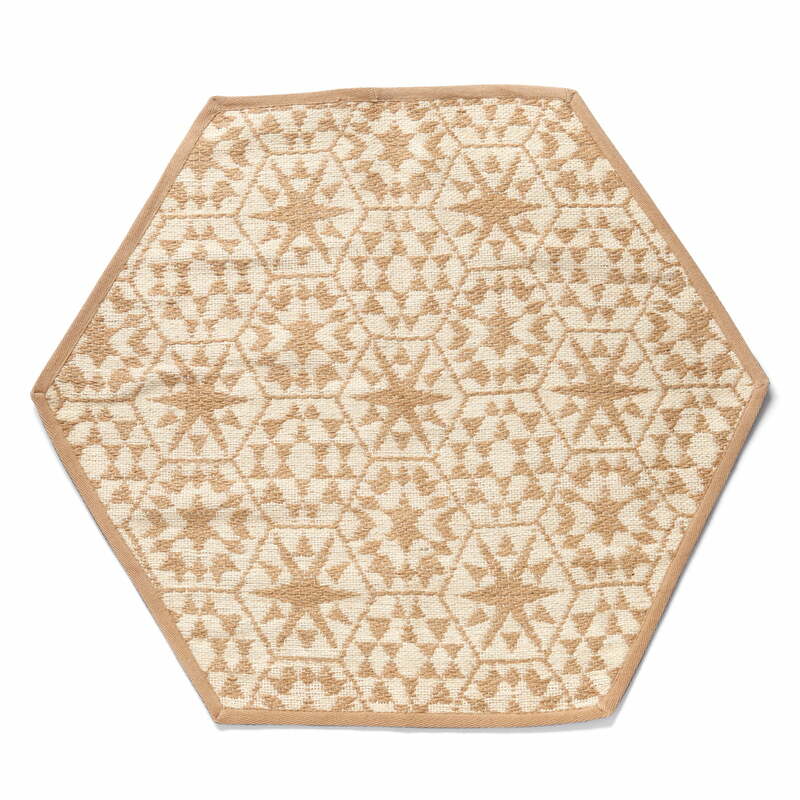 The hexagonal jute carpet is decorated with a geometric, shining star pattern by Nanna Ditzel.